Painted in TwistedBrush Open Studio with the oil brush. I had a black lab when I was a young boy and he was very loyal...a good friend and companion. I always thought I would like to own a couple of beagles. They sure are cute dogs. But I never did own any. Hope you enjoy my cute friend. 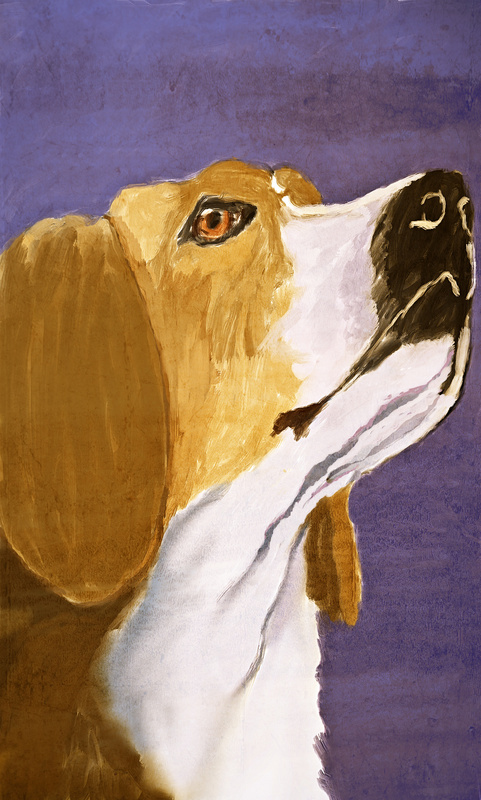 Great portrait of this Beagle, Frank! Whether is one the 'owner' of either a Lab, Beagle of other dog, they are, if educated well, the humans best friends. This portrait shows this perfectly! He has such an appealing face - I could adopt him easily ! They are a great breed of dog Frank. Loved by man, but not by rabbits. I wish I had skill such as your to draw and paint these works.